NPR announced Thursday that Loren Mayor has been promoted to its President of Operations. Mayor was previously the company's Chief Operating Officer. 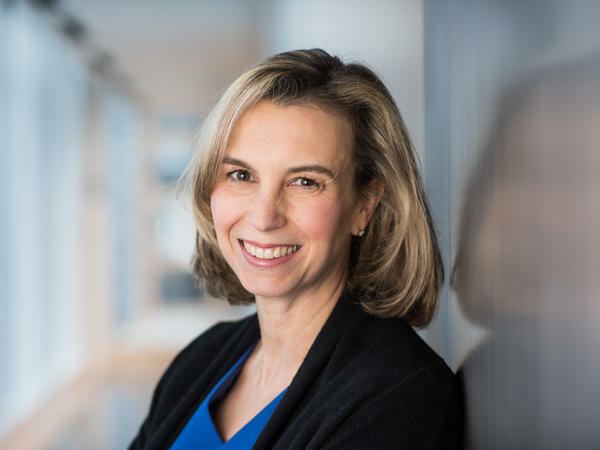 NPR announced on Thursday that Chief Operating Officer Loren Mayor will become its President of Operations. It's a new role at the company, and the change is effective immediately. The move does not significantly change the current division of responsibilities between Mayor and NPR President and CEO Jarl Mohn, but the promotion confirms the increasingly prominent role that Mayor plays at the company. Mayor will continue to report to Mohn, whose title does not change. In an email to staff, Mohn praised Mayor, pointing to her strategic vision and organizational awareness as essential. "Since coming to NPR six years ago, Loren has been a key decision maker on strategies of all kinds – from identifying new business opportunities to developing organizational plans to guiding our work to become a best in class employer," he wrote. "Loren is recognized both inside NPR and across the public radio system for her deep commitment to public media and her rare ability to both set and execute vision, turning aspirations into measurable outcomes." Mayor continues to oversee the network's daily operations as well as corporate strategy, human resources, diversity, IT and engineering, member partnership, and policy and representation. In a shift, NPR's chief legal officer and chief HR officer will now report to Mayor. Mayor joined NPR in 2012 from PBS, where she was Vice President of Strategy and Ventures. Previously, she was an executive at The Corporation for Public Broadcasting. "I am honored and excited about the opportunity," Mayor says. "It is a deep honor to work with so many people who care so much about what we do everyday." While the company often emphasizes Mohn's role as fundraiser, he continues to oversee the network's highest-profile branches. His portfolio includes the network's news and digital divisions, as well as all of its revenue-driving activities: development, sponsorship, marketing and finance. Within NPR, Mayor has been the most visible corporate leader since last fall, when the company was wracked by the emergence of sexual harassment allegations against Michael Oreskes, its Senior Vice President of News. Oreskes was forced to resign the day after an article in The Washington Post laid out multiple complaints against him. Weeks after Oreskes' departure, NPR's chief news editor also resigned following harassment allegations. Mohn was criticized by many staffers for not having taken stronger action against Oreskes on the basis of earlier complaints made about him by NPR staff. In February, an outside review of NPR's handling of the allegations against Oreskes found a "high level of distrust" in management to address such problems effectively. Less than a week after Oreskes's ouster, Mohn went on medical leave for hypertension and did not return for more than two months. Mayor handled Mohn's duties while he was away, and has overseen numerous efforts at the network to improve its handling of sexual harassment complaints and improve its culture overall. "In the result of that very difficult situation that the organization went through, I had an opportunity to step into new roles and to work on new initiatives and to try to drive positive change," Mayor says. Since his return in mid-January, Mohn has been less visible in the halls of NPR. But Mayor says this move shouldn't be seen as a succession plan. "Jarl has given no indication that he's anywhere near done," she says. "He is really focused on his priorities, many of which are with stations and with fundraising, and he's been working very hard at that in the last six months. So if he hasn't been walking the halls, it's because he's out with donors and actively engaged every day in the work of NPR." "I don't see this as a sign of his stepping down or stepping back in any way," she adds. "Good governance is that you're always thinking about what is the future of the organization and how are you developing your leadership team. And so I do think this is an opportunity for me to step into this new role, but I wouldn't read more into it than that." NPR announced two additional promotions on Thursday. Anya Grundmann was named Senior Vice President for Programming and Audience Development, and Gemma Hooley was promoted to Senior Vice President of Member Partnership. The company continues to search for a Senior Vice President of News to replace Oreskes. Chris Turpin has been acting in the role since November.